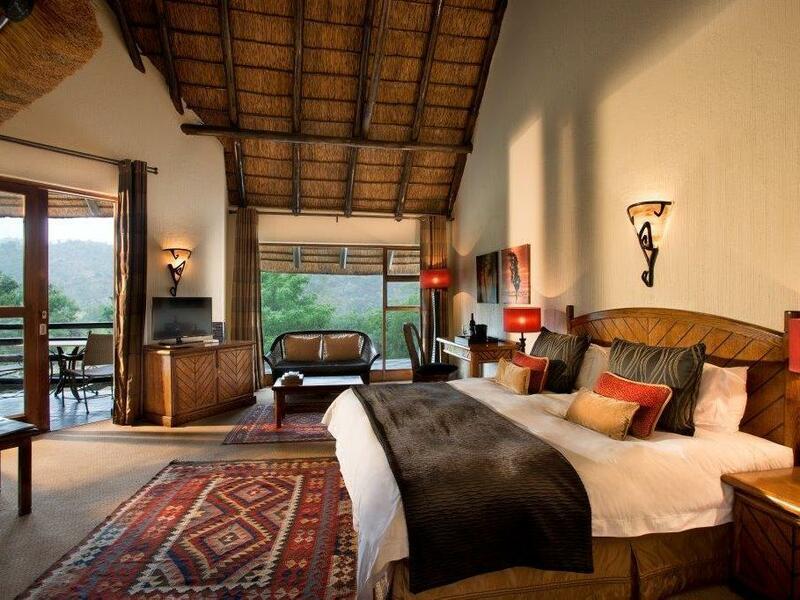 ﻿ Kwa Maritane Bush Lodge Pilanesberg. JIMAT di Agoda.com! Ada soalan mengenai Kwa Maritane Bush Lodge? Direka untuk kedua-dua tujuan perniagaan dan percutian, Kwa Maritane Bush Lodge terletak di lokasi strategik di Taman Nasional Pilanesberg; salah satu kawasan yang paling popular di bandar tersebut. Dari sini, tetamu boleh menikmati akses mudah kepada semua yang bandar meriah ini boleh tawarkan. Dengan tarikan utama di bandar ini seperti Lapangan Terbang Antarabangsa Pilanesberg, Kelab Desa Gary Player, Game Trackers Outdoor Adventure berada pada jarak yang dekat, pengunjung hotel pasti akan menyukai lokasinya. Legacy Hotels terkenal kerana perkhidmatan yang berkualiti dan kakitangan yang ramah, dan Kwa Maritane Bush Lodge ternyata seperti yang dijangkakan. Tetamu hotel boleh menikmati kemudahan seperti Wi-Fi percuma semua bilik, fasiliti tetamu kurang upaya, simpanan bagasi, Wi-Fi di tempat awam, tempat letak kereta. Hotel ini mempunyai 90 bilik yang sangat cantik, setiap bilik dilengkapi karpet, televisyen skrin rata, pengesan asap, internet wayarles, internet wayarles (percuma). Kemudahan rekreasi hotel, yang termasuk seperti kolam renang terbuka, spa, rumah urut, taman permainan kanak-kanak, kelab kanak-kanak direka untuk anda melarikan diri dari masalah dan bersantai. Kwa Maritane Bush Lodge merupakan pilihan yang bijak bagi pelancong ke Pilanesberg, menawarkan penginapan yang santai dan mudah setiap kali. Harap maklum lawatan safari hendaklah ditempah sebelum ketibaan. Harap maklum harga termasuk makan malam, katil dan sarapan. From the minute we were greeted by the friendly staff, nothing was ever too much. 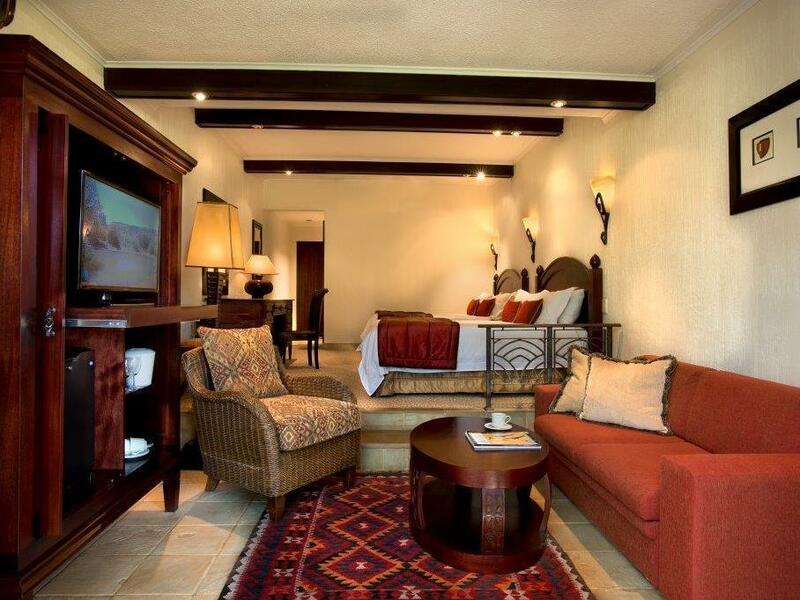 The rooms are beautifully fitted out in a sophisticated style of timeless elegance and luxury. Facilities are incredible, meals fantastic and game drives amazing with knowledgeable drivers- especially with Dylan. A wonderful place to unwind, relax and enjoy the African Bush. Kwa Maritane pushes all the right emotional buttons! In fact it’s more than great and we enjoyed the stunning vistas and lodge like feeling of Southern Africa. I felt right back at home instantly. The ambiance, the food and the hospitality surround you. Try, if you must, the gale force winds of luxury bush living in Pilansberg. The service is exceptional and I offer no hesitation on any part as to the generous often contagious smiles and can- do attitude of the staff. They makes Kwa Maritane and I’d highly recommend this booking. As they say in Setswana language - Sala Sinthle! Superb lodge situated in incredible location. Just a few luxury, spacious individual bungalows set in the quiet and beauty of the African bush but with great facilities. Game drives in small vehicles included with excellent guide who knew where the animals were. Games drives were outstanding ! Orchids: Having visited Kwa Maritane over 20 years ago I was very pleasantly surprised to see that it is still as good as ever: the game hide, the excellent choice of food, friendly staff, and elephant & rhino to be seen from the restaurant patio. Onions: The drive from Johannesburg is horrendous and potentially dangerous. If I come again I will fly. It was confusing getting into the Pilanesburg Park from Kwa Maritane. At the price you charge overseas visitors to stay at the Lodge, the park entrance permit should be included in the overall cost. We loved our stay, as we are bush people. Food was good, staff friendly and the room was fine. Thoroughly enjoyed my two night stay. Food was good, Game drives were excellent, facilities, and ambience were very good. A lovely place to go to unwind, and relax. Pros: Great Game Drives, rangers had experience and knowledge Nice infra structure Cons: - Only 2 game drives included in a 2 nights/3days stay. If we wanted more, we would have to pay (900 Rands per Game Drive). Maybe I didn't read the small letters at the end, but I though it was all inclusive such as other Lodges of the area - Terrible internet access and ONLY 500MB per day. I watched a netflix movie and used all the data. HAD TO PAY to get internet in a so-called 4 star hotel. - Reception staff was not very friendly. I had some difficulties understanding their accent and asked ONCE to repeat the time of dinner. She was very impatient and made ME write it down "so I wound't need to ask again". - Although there were lots of options in breakfest, we needed to ask coffee to the waiter. There were many guests, so it took some time and they would only fill 1 cup at a time. Wonder why wouldn't they allow you to self serve your own coffee like in other hotels. Incredible stay at Kwa Maritane. In planning the trip we chose to do our safari at Pilanesberg rather than Kruger because accommodation seemed more reasonable and we were right. This lodge was absolutely amazing. We got upgraded to an executive suite, which pulled out all the stops. The food was incredible- breakfast and dinner buffets included in stay. I was expecting easy food for the buffets, but was left very impressed with how fancy both were. At dinner one night we were joined by a group of four elephants who came to the watering hole right by the restaurant. Dinner included lamb, fish, and many more options. We even got lucky that we were there on a Wednesday and could partake in the bush brai under the stars- another incredible experience. The game drives are beyond imagination- the guides are so helpful and we were able to see lions (an entire pride devouring an antelope) a family of elephants, rhinos, zebras, giraffes, warthogs, impalas, kudu, and more. Highly recommend! We also looking forward to see who will come and visit the waterhole. We made friends during this time, watching the animals and talk about what animals came to visit during the day. The game drive was amazing. Friendly and helpful staff. View of animals from the restaurant terrance and hippo at the hideout. Amazing breakfast. Organised game drive early morning with experienced rangers and we were lucky to see many animals upfront. Beautiful place in a magnificent setting. Everything was better than expected, which isn't said much any anymore. Staff, restaurant, rooms, facility all beautiful and clean. Recommend eating on the deck area overlooking a small watering hole where many animals congragate. The hide is amazing. You can monitor the waterhole from your room via Channel 25 on the TV and then run to see it live. Watched dozens of elephants bathing and frolicking. Zebras, a giraffe, warthogs and many birds. Don't miss the game drives. Managed to do 5 over my 3 day stay. Exhausted getting up so early for morning drive, but was worth it. Will definately return in the future. Our stay in South Africa exceeded expectations. We had doubts with the ongoing drought and the desolate-looking park when we arrived, but Kwa Maritane was really wonderful. Even if you can't make the game drives (on which -- yes -- we saw all of the Big 5, plus others), the Hide is a great place to view a number of other animals for longer periods. Great food, beautiful setting, great rooms, lots of things to do without even leaving the compound. Loved it! Overall we had a pleasant stay although, in light of the prices they charge, we expected it to be much more luxurious. As the hotel rooms (contrary to the self catering units) are located at the far end of the complex, you have to walk through a maze of halls and poorly lit gardens to get to your room. The food quality is good but the restaurant (and the rooms) can be quite noisy as the self-catering units are designed to cater for large families. Overall, we would not be inclined to stay at this property again as there are definitely better and more affordable options right outside the park gates.